Mollys Parents and her Granny are sending her lots of Postcards. Every time either one of us goes to the Post Office to check mail and she has gotten a new one, the nice clerk keeps reminding us, that postage for postcards is 29 Cents these days, not 28. 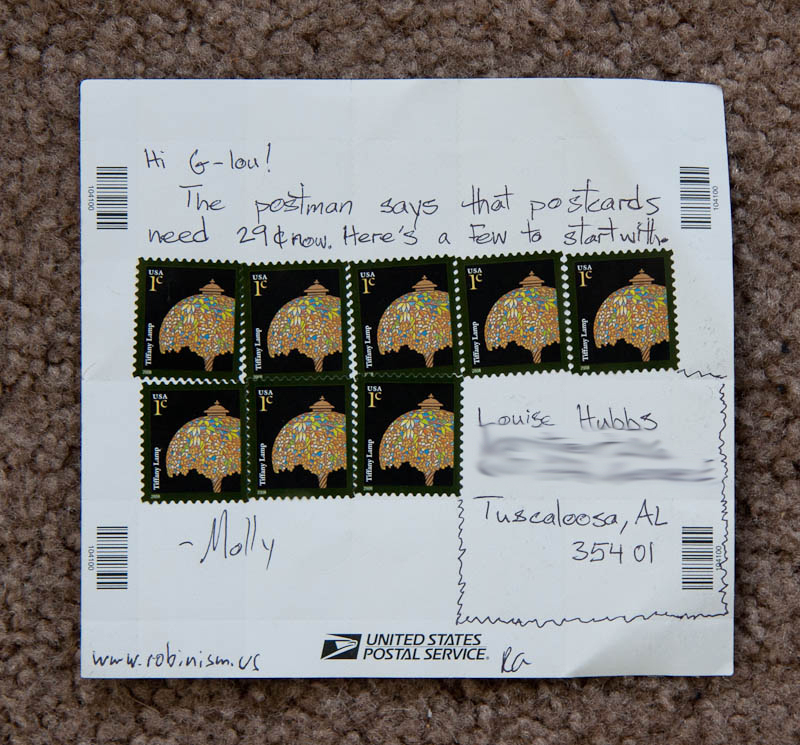 And sells us another one Cent stamp, which he carefully sticks on the Postcard before he hands it over. 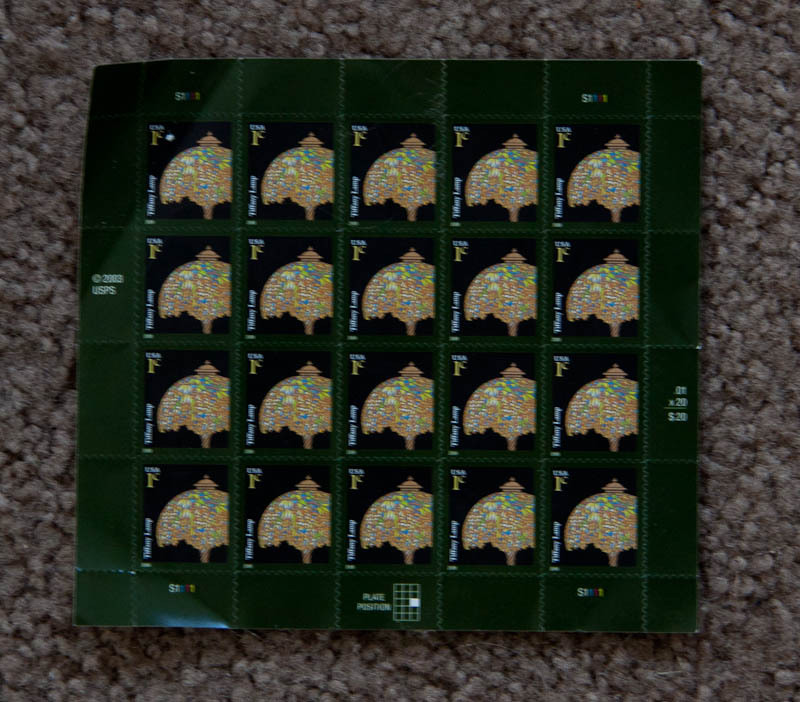 The USPS also sells so called Forever Stamps. They can still be used although postage for a specific product might have risen in the meantime. I still have some i bought in 2001 (I forgot how much i payed, though).